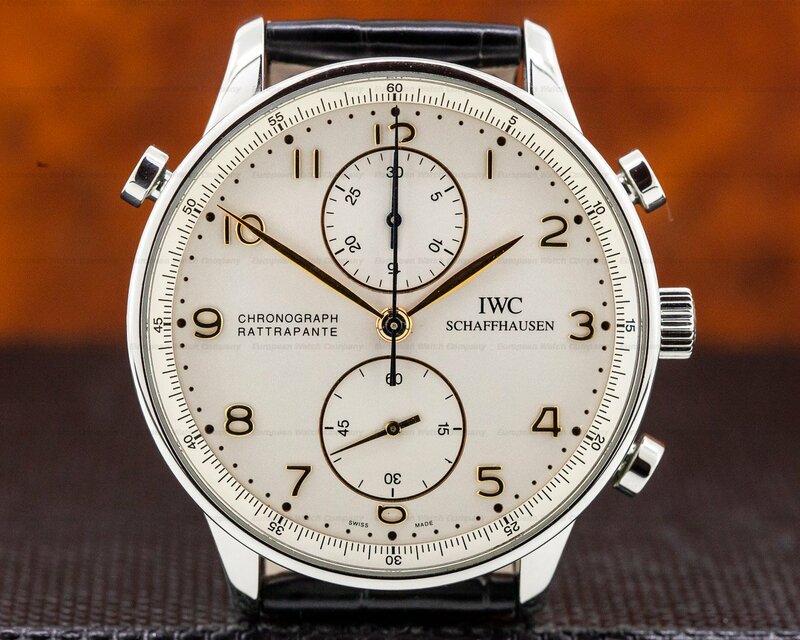 31204 IWC 3713 Pilot Double Chronograph, IW371348, 371348, stainless steel on a stainless steel bracelet, Automatic Movement, day and date windows at 3 o'clock, small seconds at 9 o'clock, chronograph with split second function, black dial with Arabic numerals, size: 42 mm, thickness: 17 mm, sapphire crystal, water Resistant to 150ft, Like New with Original Box and Papers that are stamped but undated. 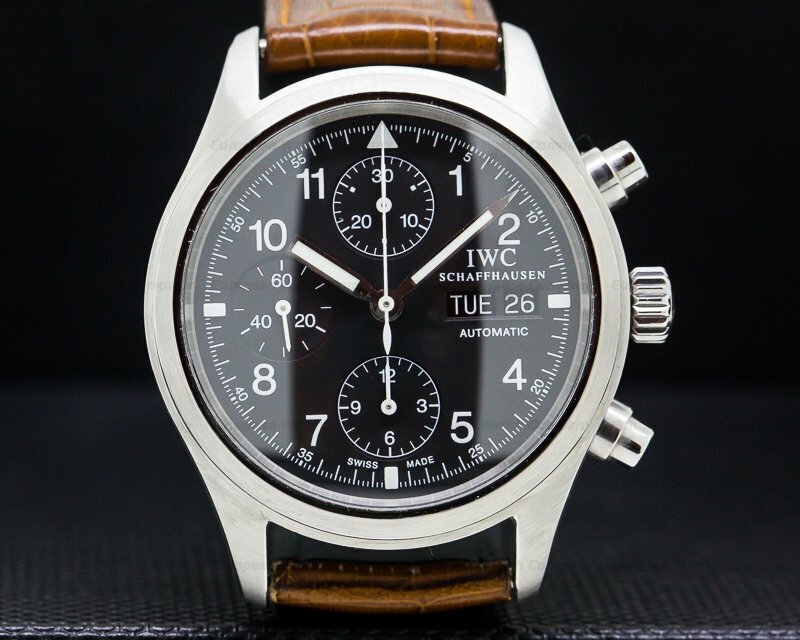 This is a stainless steel IWC Pilot (Flieger) Double Chronograph IW3713. 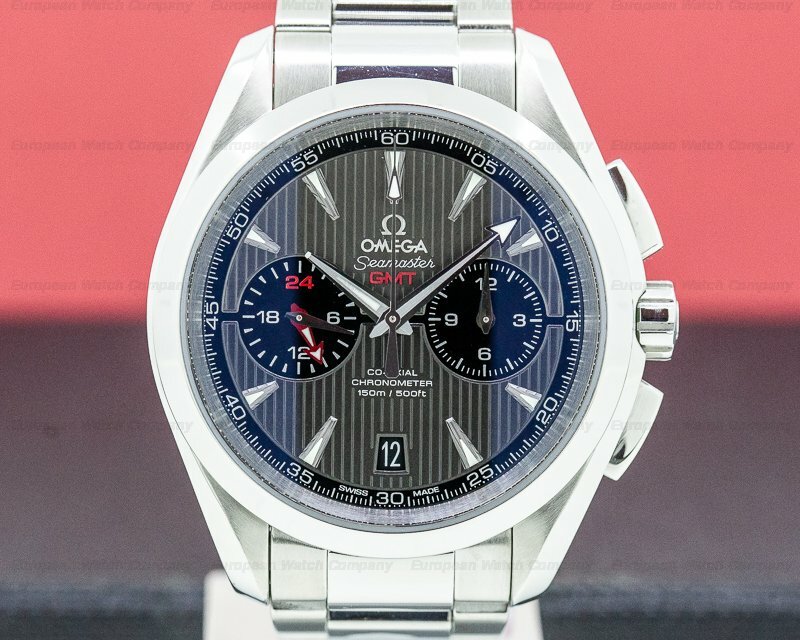 It has an integral jubilee-style stainless steel link bracelet with a double folding deployment clasp, and a scratch resistant sapphire crystal. 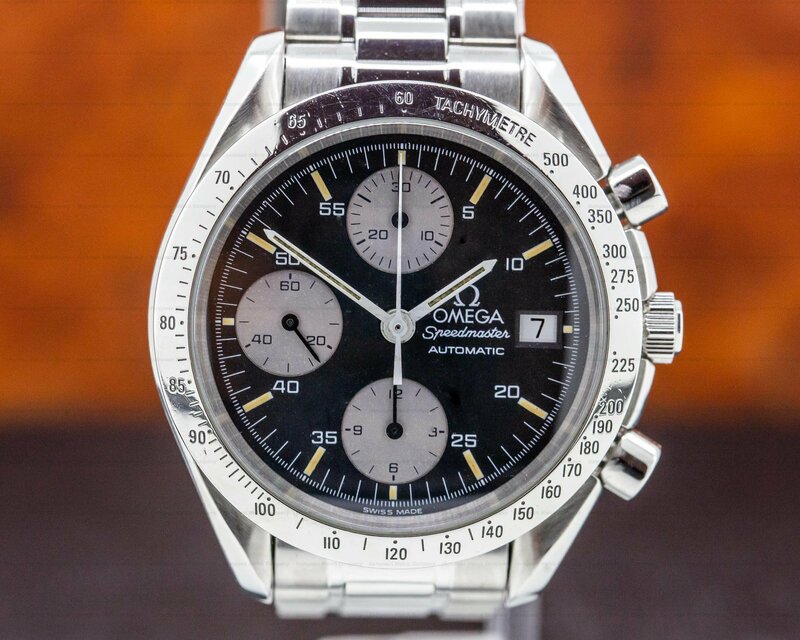 It has round chronograph push buttons, a screw down winding crown, and there is a push button at the 10 o'clock position that activates the split-second chronograph function. 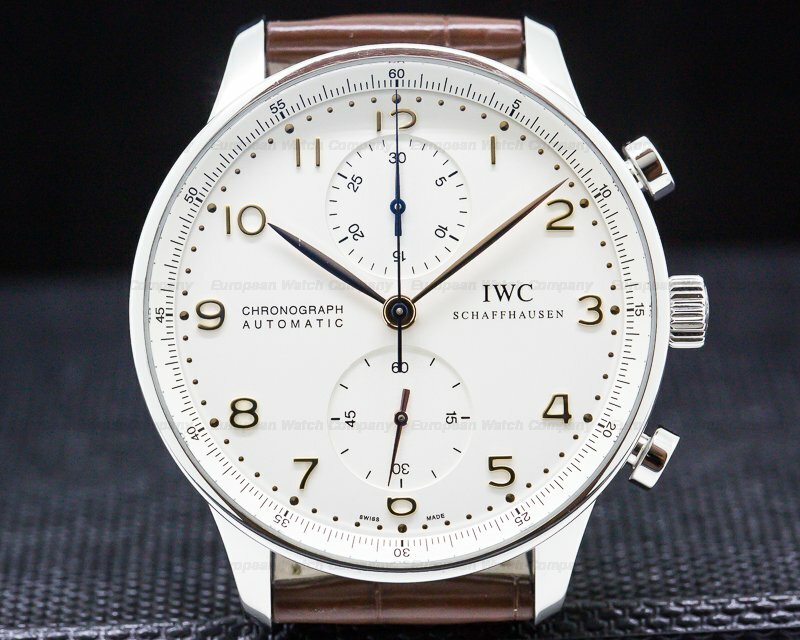 The solid screw down case back is engraved with "DER DOPPELCHRONOGRAPH," and a serial number. The 42mm diameter solid two-body case, downturned lugs, stepped bezel, and bracelet are polished/brushed. 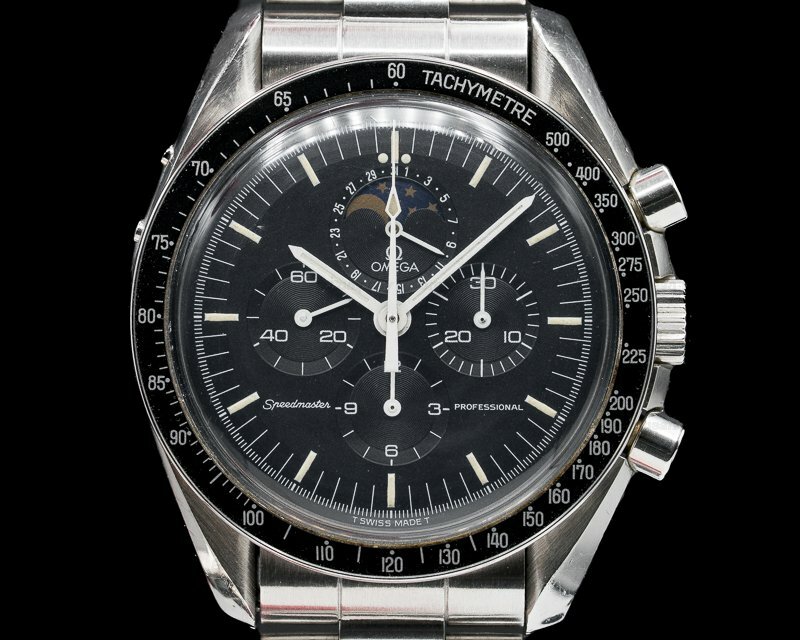 It has a dust cap, and the dial is gloss black with luminous Arabic numeral hour markers, and square and triangular hour indices around an outer minute and 1/5 seconds track with white luminous Arabic numerals spaced every five seconds to 60. 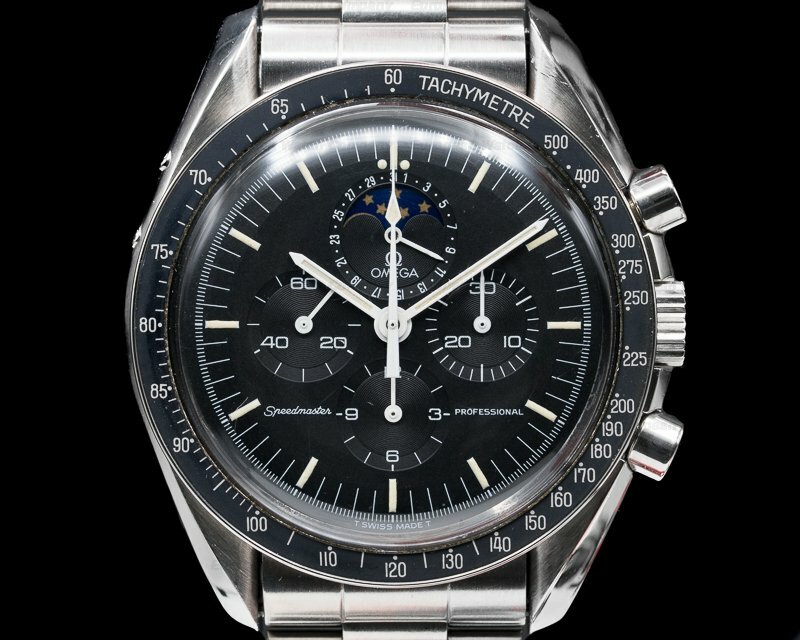 It has luminescent steel baton hands and a luminous center sweep chronograph seconds hand. 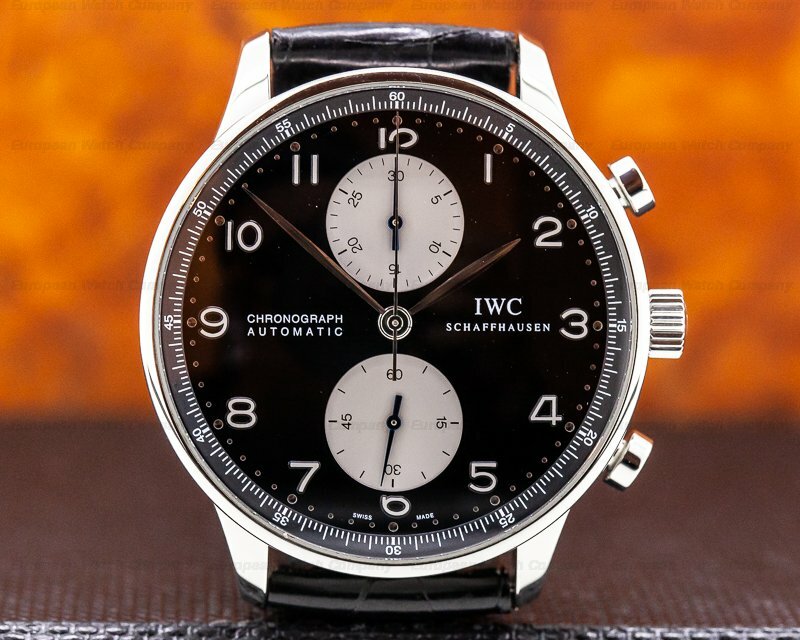 There is a double day and date aperture window at 3 o'clock, and there are three recessed black subsidiary dials with white Arabic numerals, markers, and indicator hands, including a running small seconds register 9 o'clock, a 12-hour chronograph totalizer at 6 o'clock, and there is a 30-minute totalizer at 12. It's water resistant to 50 meters/165 feet, and it has a 44-hour power reserve at full winding. The 17mm thick case, dial, and movement are all signed. 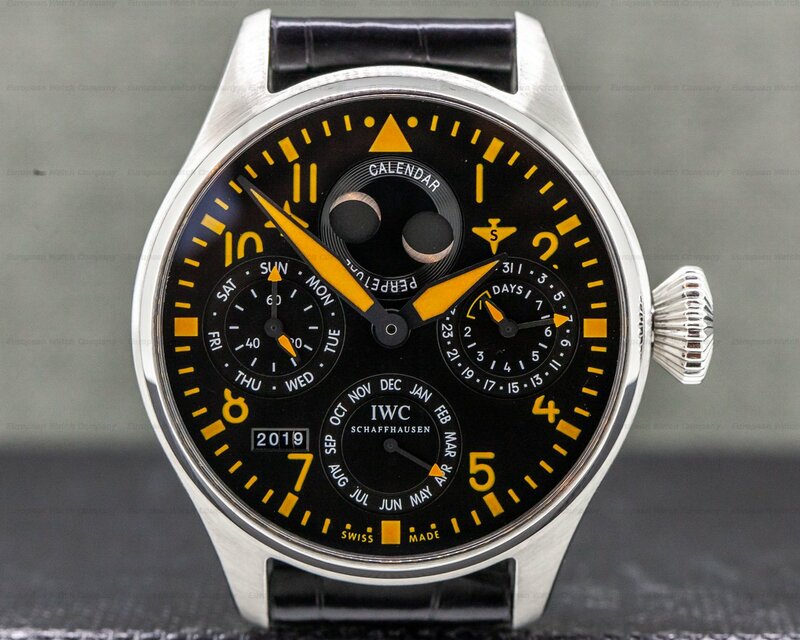 This IWC Pilot (Flieger) Double Chronograph IW3713 has a mechanical automatic winding IWC caliber 79230 movement that's rhodium plated with fausses cotes embellishment. It's constructed with 29 jewels, a shock absorber mechanism, and a straight-line lever escapement. It includes a monometallic balance, a soft iron inner core that's anti-magnetic, and a self-compensating flat balance spring that's adjusted to 5 positions. It has an index regulator, and a hacking seconds device for precision time setting. The mechanism oscillates at a frequency of 28,800 vph (4 Hz). 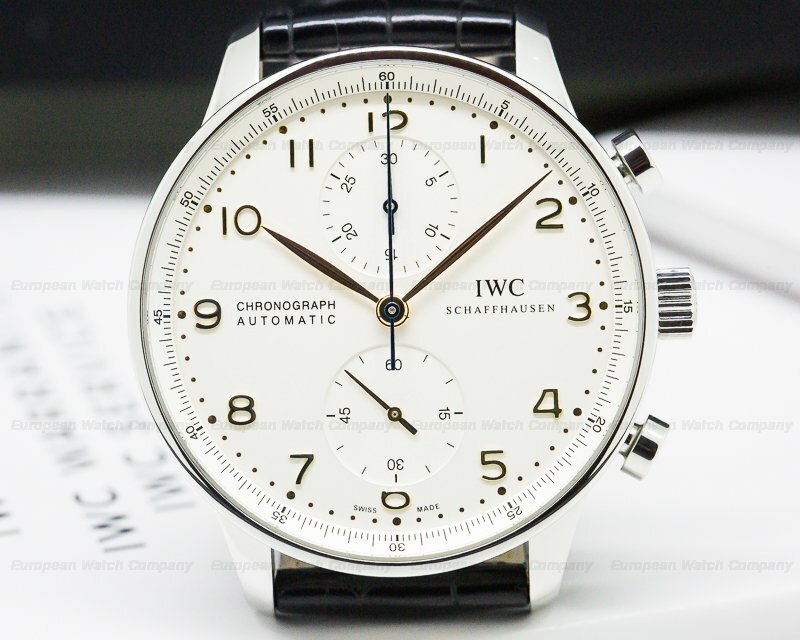 The IWC Pilot (Flieger) Double Chronograph IW3713 was introduced in 1996, and it was produced until 2005. 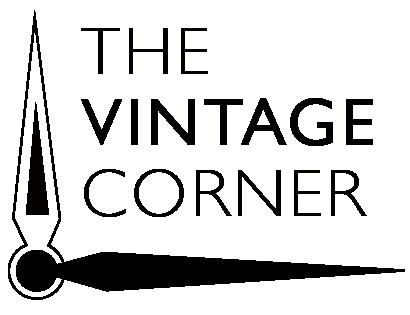 It takes inspiration from the cockpit instrumentation and altimeter-like display of the Junkers 52 of the 1930's.